Games4King - G4K Grandfather Rescue From Forest is another point and click escape game developed by Games 4 King. One day my grandfather went to see the forest. Grandpa was unexpectedly worn in the forest one day. Your duty is to save the grandfather from there. It will help you find the hidden clues to save grandfathers. 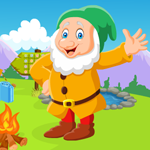 Find all the clues and save Grandpa from the jungle and congratulate you to win the game. The tricks of the trick are a little harder to find, but somehow it may be a matter of interest. This game is highly desirable. Good luck and have a fun! NO hint for the flowers it seems. Just trial and error or looking at the walktrough as I did. Not trial and error. It's like one of the other puzzles. You can see the background colors when you move them. Put the same color flower on a same background colored spot. I didn't see that, hardly noticeable.